If you are fed up with conventional cars such as Astra, Focus and Golf, Nissan are about to make your day with the launch of something very different, the Qashqai and its designed and built entirely in Britain. If you need a hatchback, but want an SUV or 4×4, the new Nissan Qashqai can offer it all in one superb package. The Qashqai is a “crossover” vehicle, combining all of the benefits and manoeuvrability a conventional hatchback, but with the toughness of an SUV. 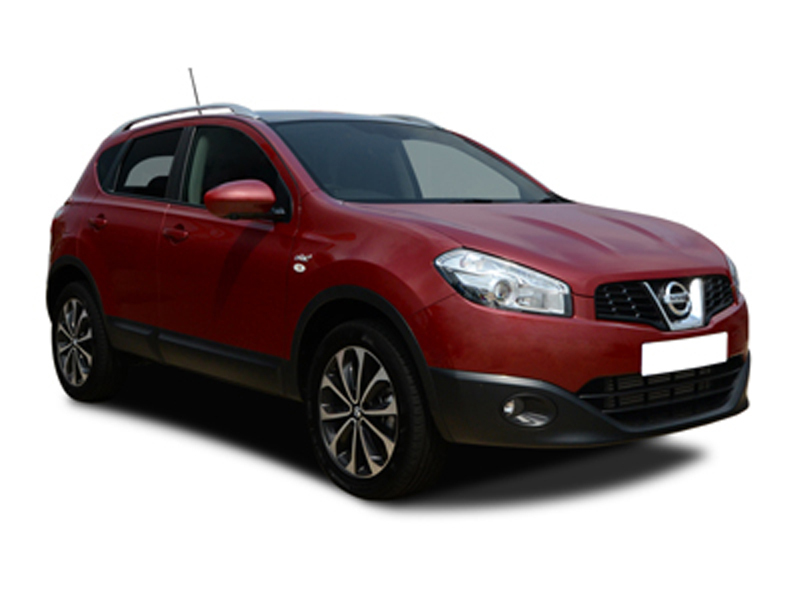 Looking like a baby Nissan Murano, the Nissan Qashqai is certainly an imposing looking car offering a commanding driving position offering excellent visibility. Nissan have always made durable and reliable cars and that’s a fact. In terms of appeal, although cars like the Almera would go on for ever, they just didn’t attract European drivers. With Qashqai, it’s been designed specifically for us Europeans and I have to be honest, I think Nissan have hit the spot with this new car. With three specification levels, “Visia” “Acenta” and “Tekna” and 4 different engine choices, 1.6 and 2.0 petrol and 1.5 and 2.0 diesel and 4×4 options on the 2.0 engines and even a 2.0 6 speed automatic diesel 4×4 option, the Qashqai has all the bases covered. We were lucky enough to get our hands on a pre-production car to test. Our vehicle was a mid range Acenta model with a 1.5DCi 108bhp Diesel. First impression was how big the car is, quickly followed by the realisation that this is one heck of a lot of car for the money. Prices for Qashqai in 2 wheel drive version start at £13,499 for the 1.6 petrol Visia, going up to £19,190 for the range topping 2.0DCi diesel Tekna. 4 Wheel Drive versions are available in the 2.0 version and increase its price by around £1600. An automatic version of the 2.0ltr diesel is also available at an extra cost of £1100, whilst Nissans superb Satellite Navigation system with a rear facing camera costs £1350 extra. Clearly, there is a Qashqai to suit all budgets. The cars interior is very nicely finished with high quality materials and as soon as you jump in, you feel at home immediately. Space wise the Qashqai can carry 5 adults in real comfort and the car has a cavernous 410ltr boot. On the road, you feel good inside the Qashqai, the car handles superbly and quietly and is simply just very nice to drive. We were surprised how powerful the 1.5 diesel was, even with 3 adults aboard, it could still push you back in your seat. The cars instrumentation is good and the standard of equipment even on the basic model which is called “Visia” is very high with front and rear electric windows, electrically operated door mirrors, 16” Alloy Wheels, Radio & CD Player, Air-Conditioning, ABS Braking, Auto Locking, Front Side & and Curtain Airbags and an excellent Bluetooth system that locks on to your phone up as soon as you get in the car and allows you to make and receive calls without even taking your phone out of your pocket. Higher spec models are called the “Acenta” and the “Tekna”. The Tekna gets all of the base equipment plus a Glass Panoramic Roof, Leather Upholstery, Xenon Headlamps, Heated Front Seats, 17” Alloys, 6 CD Autochanger, Front Fog Lamps, Cruise Control, Ultrasonic Parking System, Climate Control, plus much more. Buying a car shouldn’t be a compromise and you will know if you have read any of our other road tests that we look for honesty in a car and praise a car highly if it’s well designed and keeps the compromises to a minimum and in the Qashqai, Nissan have achieved just that. We liked the Qashqai, we liked its edgy styling, we liked the space in side, we liked the way it drove and above all we liked the type of vehicle it was and by that we mean we like the fresh thinking involved by Nissan in offering a real cross over vehicle and great alternative to the traditional SUV or 4×4 and to your everyday hatchback. Arriving in showrooms in the UK in February 2007, the Qashqai, which takes its name from a nomadic tribe from Persia and is pronounced Kash-Kai and promises to be a radical alternative in a very conservative market place. The Qashqai is guaranteed to put Nissan firmly back in the market and up against the Golf, Focus, Astra and do you know what, we think that although Nissan might not win the war with this car, they are going to win a huge number of battles. Call us or e-mail us for a leasing quotation on any model in the Nissan range.